Ian M. Sherman is a trial lawyer and has handled the defense of cases involving medical malpractice, professional discipline, professional responsibility and ethical matters, HIPAA issues, social work & school litigation, commercial litigation, construction accidents, products liability, general torts, toxic torts, false arrest and imprisonment, defamation, employers liability, occupational diseases, as well as insurance coverage and declaratory judgment actions. One of his important trial successes was described in Medical Economics, “Will Your HMO Pull You Into a Malpractice Suit?,” and two others appeared in OB/GYN Malpractice Prevention “Uterus and Bladder Rupture During VBAC” and “Were Residents or On-Call OB Liable for Fatal Dystocia?" Mr. Sherman was a guest on the Business Newsmakers television show on Channel 23 (WCIU) to discuss “Telemedicine Law”. 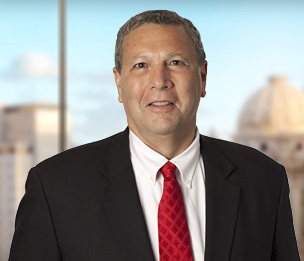 Since 1983, he has performed pro bono cases for the Chicago Volunteer Legal Services Institute and has also done pro bono work for the American Jewish Congress (Midwest Region), now JUF Community Legal Services, since 1992. Mr. Sherman is also an associate general counsel in Dykema's Office of General Counsel. He was previously Chairman, Associates Training Committee for 10 years at Rooks Pitts. Mr. Sherman was an adjunct professor at John Marshall Law School in 2016 and 2017. Carus Chemical Co. v. Calciquest, Inc., 793 N.E.2d 931 (Ill. App. 3rd Dist. 2003). Violation of Trade Secrets Act claimed. Preliminary injunction reversed on appeal in favor of firm’s client. Case subsequently dismissed. Daley/Ruff v. Dr. Smith, et al., No. 1-13-0225 (Ill. App. Ct. 1st Dist. (4/5/15). Jury verdict in favor of firm's client physician in medical malpractice death case affirmed on appeal. Sullivan v. Wojick, No. 1-13-1333 (Ill. App. Ct. 1st Dist. (9/2/2014). Jury verdict in favor of firm's clients physician and hospital in medical malpractice stroke case affirmed on appeal. Giannini v. Dr. S., No. 1-03-3709 (Ill. App. Ct. 1st Dist. (9/30/04). Summary judgment for firm's client physician in medical malpractice death case affirmed on appeal. Western States Insurance Co. v. Wisconsin Wholesale Tire, Inc., 184 F.3d 699 (7th Cir. 1999). Declaratory judgment for insurer (firm’s client) affirmed. Insured’s alleged misappropriation of competitor’s customer lists neither “advertising” nor “slander” or “libel” within meaning of insurance policies. Western States Insurance Co. v. Bobo, 268 Ill.App.3d 513, 644 N.E.2d 486 (5th Dist. 1995). Declaratory judgment for insurer (firm’s client), reversing lower court. No coverage under exclusion for intended bodily injury, regardless of insured’s subjective intent, where alleged insured committed sexual crimes against children. Banes v. Western States Insurance Co., 616 N.E.2d 1021 (Ill.App. 2nd Dist. 1993). Declaratory judgment for insurer (firm’s client), reversing lower court. Insurer entitled to setoff of payment to insured by tortfeasor’s insurer, even though insured’s injuries exceeded limits of both tortfeasor’s policy and insured’s underinsured motorist coverage. "Will You Be Sorry You Said 'I'm Sorry?'" "Can Advertising Create Hospital Liability for Acts of Independent Physicians?" "With Malpractice Case Settled, My Worries Are Over—Right?" "Case in Point: Histories and Testing Vital in Problem Pregnancies"
"Contribution from Employers: Availability, Good Faith Settlements and What the Future May Hold"